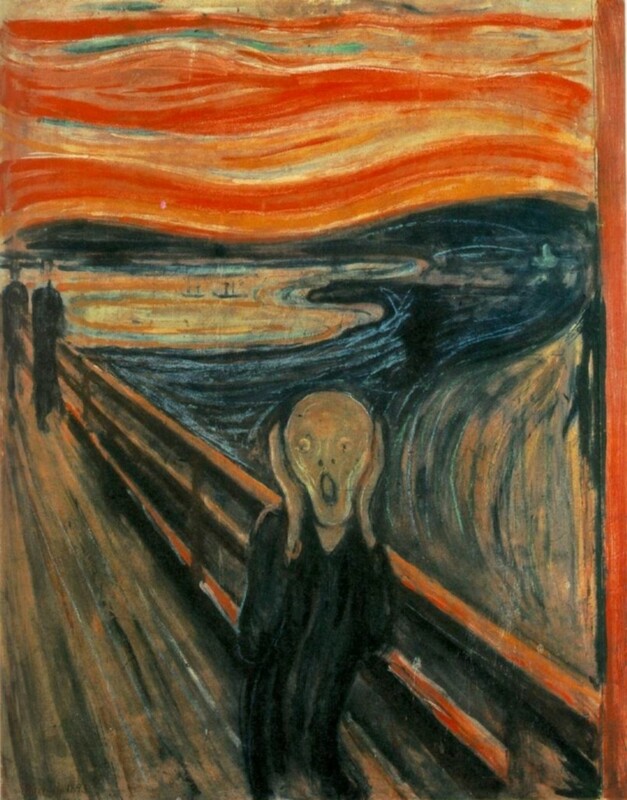 Last week students discussed and explored The Scream by Edvard Munch and worked in groups to create their own interpretation of this famous expressionism artwork. A big thank you to all the students and families who attended the Very Short Film Festival screening night earlier this week at Hamilton Public School. Unfortunately not all of our films were successful in being screened so I have added them below for you to watch. Enjoy! 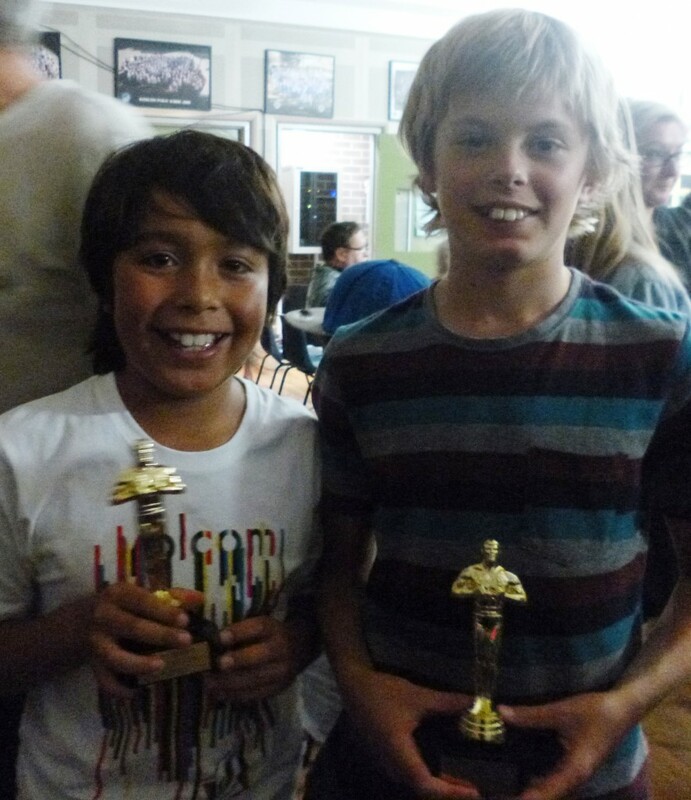 Allan and Mitch accepting their mini Oscars on behalf of their group. Thank you to Mrs Bowman for her time and effort working with students on this project and to Mrs Lavercombe, Mrs Scully and Mr Selwood for being amazing actors! Monday 9th June 2014 – Friday 13th June 2014. Our school will also receive a DVD of all the episodes our students appeared in but only after it has gone to air. 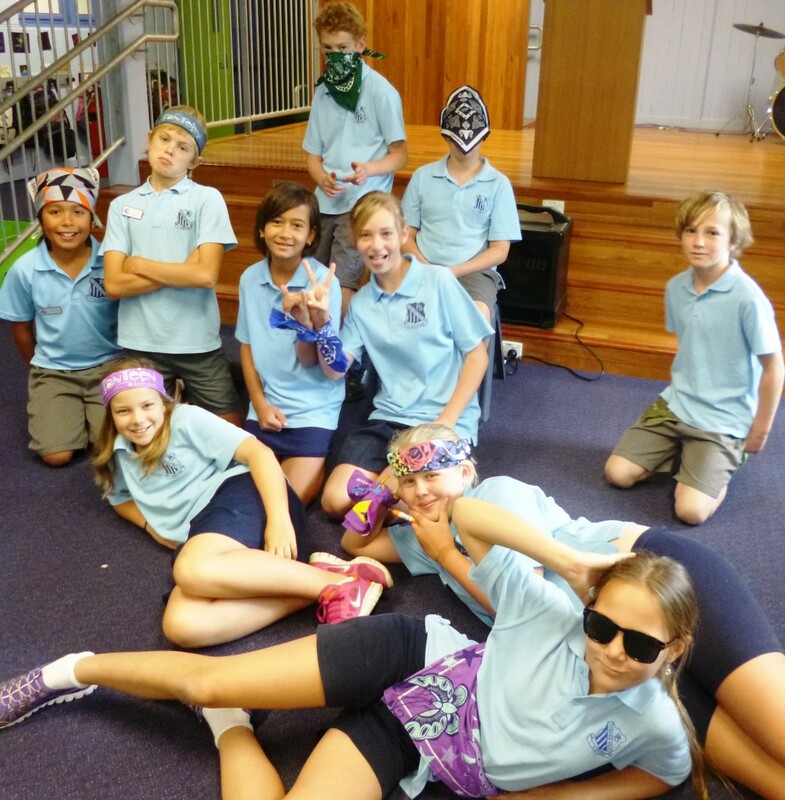 Thank you to our students who supported CANTEEN today by purchasing and wearing a bandanna. Not only do they look fantastic but our school raised over $490 for this worthy cause. Well done! Last term the OC participated in the Very Short Film competition which involved making a film based on the theme ‘yesterday’ and had to include signature items of a chicken, a football, a photograph and a meatpie. Next week, students are invited to the screening of the top films. Please let me know if you are planning on attending and looking forward to seeing you there! 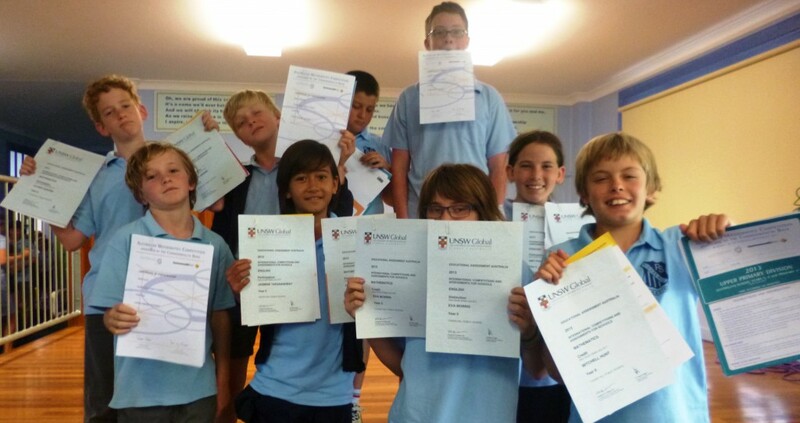 Today at our assembly, students who participated in the UNSW English and Mathematics competition and the Australian Maths Competition received their certificates and results. Congratulations to Amy, Jasmine, Dayna, Ethan C, Chris, Callum and Oliver who received participation certificates in Maths and Mitch and Eva who achieved Credits. In English, well done to Oliver, Jasmine, Ethan C and Amy who received a participation certificate; Dayna who achieved a Credit and Eva and Chris who achieved a Distinction. In the Australian Maths Coompetition well done to Noah, Rory and Amy who recieved a participation, Mitch who achieved a Proficiency and Cooper, Chris and Callum who achieved a Credit. Great work! Welcome back to what is shaping up to be another busy and exciting term for the OC! Next week (Tuesday) our Stage 3 students will enjoy a trip to the movies and lunch at the Foreshore as their reward for running last term’s Year 6 Fair. Notes were handed out first day back and need to be returned to the office by tomorrow. The cost is $5 and they may bring spending money for the movies on the day if they wish. 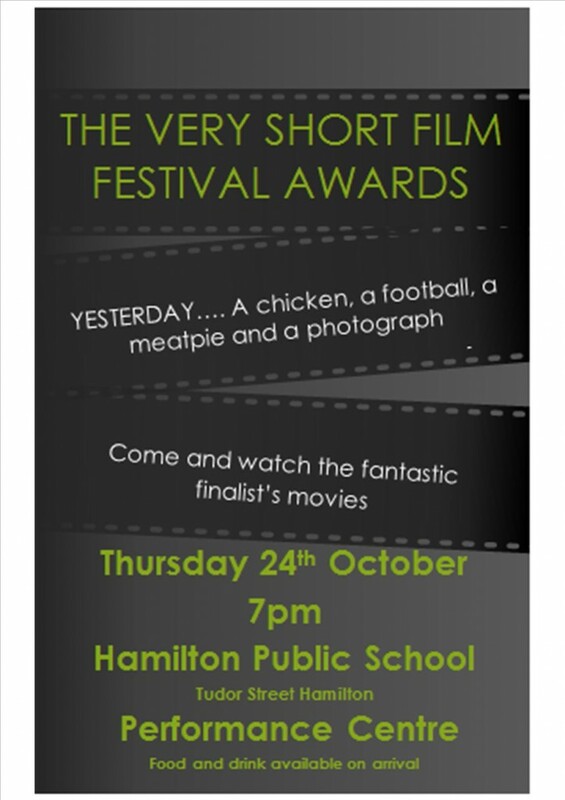 Coming up in Week 3 is our Very Short Film Festival screening night at Hamilton Public school. Our students worked really hard making these films last term so fingers crossed we have made it into the top ten. Students and families are invited to attend this screening night and I will send home more information closer to the date. In our Literature Circles this term students will be studying the novel Mao’s Last Dancer as part of our HSIE topic on China. Students have already begun their preparations for NaNoWriMo – National November Writing month. To get us ready for novel writing, students will be publishing some of their writing each week on their blogs so make sure to have a look! Our excursions this term will include a visit to the CSIRO where our class scientist Dr Graeme works. Later in the term we will be taking part in a regional OC program called Thinkfest which will involve an excursion to Jewells Public school to present our work. The other big events taking place this term are of course Presentation Day and the Year 6 Farewell in Week 10. Be sure to check the OC Event page as I will be updating this regularly to keep you up to date. Welcome back for Term 4! Here’s your first Plinky Question to get things underway. What’s the one luxury you can’t live without?